Brandon Zenner was born and raised in Red Bank New Jersey, only a short distance from the shore. His short fiction has been published in both print and online publications, the first being PLAZM 28, submitted when Brandon was just 19 years old. 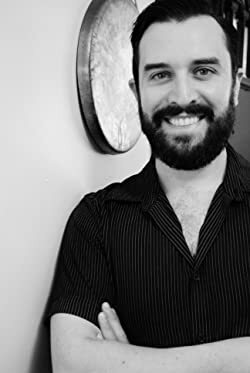 In 2014 Brandon published his first full-length novel, "The Experiment of Dreams," as a Kindle ebook. The paperback novel followed a year later. His second full-length novel is well on its way. Throughout his early years writing, Brandon's favorite practice was to open a dictionary to any random page and aimlessly select the first word that this finger touched. He would then feverishly write a short story using his Smith-Corona typewriter. Using a mechanical typewriter, without the aid of auto correct, taught the importance of grammar and spelling (as well as patience and aggravation). Please enter your email address and click the Follow button to follow Brandon Zenner!